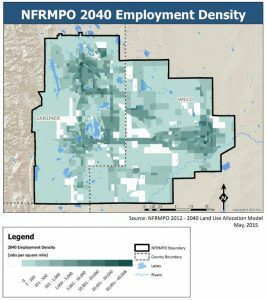 The North Front Range region encompasses 675 square miles and over 480,000 residents in portions of Larimer and Weld counties in Northern Colorado. 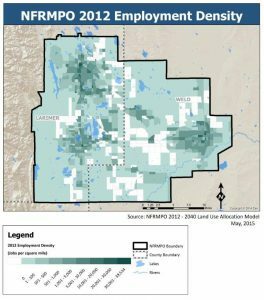 According to DOLA, population in Larimer and Weld counties is forecast to increase by 92 percent from 2015 to 2045, exceeding the forecast statewide population growth of 53 percent. High population growth presents additional challenges and opportunities for transportation and air quality planning in the region. Employment in the region and surrounding areas is projected to increase by 80 percent from 2010 to 2040. 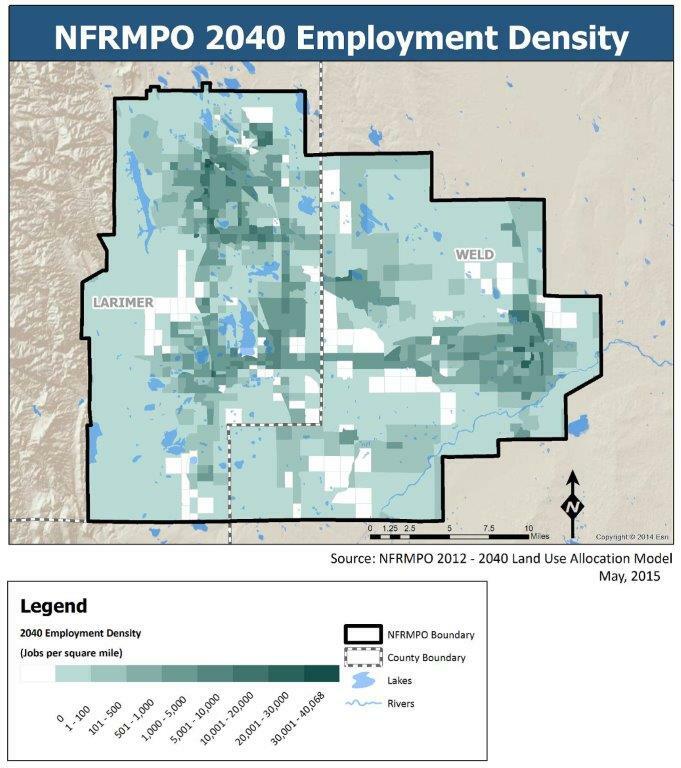 The 2040 Land Use Allocation Model (LUAM) distributes employment projections based on future land uses from local jurisdictions in the region. Employment density is projected to increase in many areas, including along I-25, US-34, and US 85. 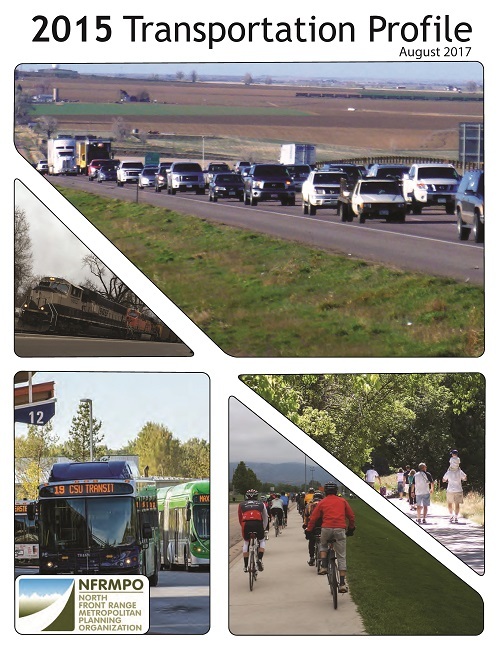 The 2015 North Front Range Transportation Profile is a snapshot and inventory of the transportation facilities and services that existed in the region in 2015, as well as the demographic context that shaped them. Establishing a transportation profile allows the NFRMPO to assess the state of the regional transportation system between four-year Regional Transportation Plan (RTP) updates. This document is a tool which member jurisdictions and the general public can use to identify the components of their local transportation system, how that system serves the community, and how it fits into the larger regional system. The 2015 Transportation Profile consists of a regional profile and individual community profiles specific to each of the 15 NFRMPO member jurisdictions. Access the entire document and individual community profiles below. Member communities are spotlighted in the quarterly On The Move newsletter. The member spotlights provide data on population, commute mode of transportation, and major employers. View the spotlights below, and check back for an additional community spotlight each quarter.